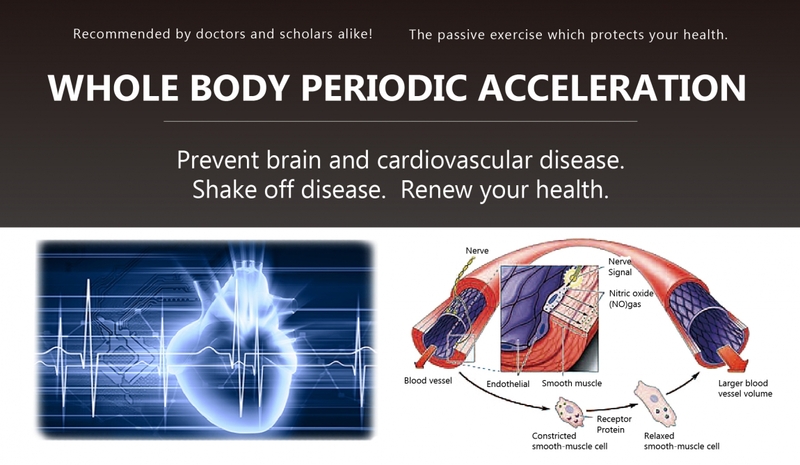 Decades of medical research have proven that Whole Body Periodic Acceleration is completely safe and beneficial for the human body. It is also especially efficient for targeting brain and cardiovascular disease. Whole Body Periodic Acceleration stimulates vessels to generate nitric oxide. This model of Whole Body Periodic Acceleration equipment is designed with technology which allows people to experience horizontal movement from head to toe while lying nearly flat. The slight angle of the bed keeps users in a stable position as their body moves back and forth. The horizontal movement spreads along the spine and stimulates vessels to generate nitric oxide through repeated periodic acceleration. 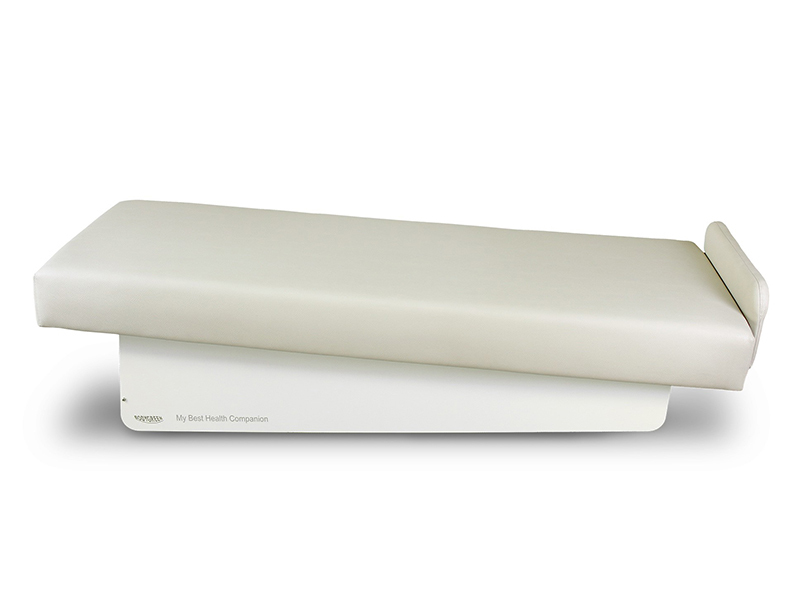 Variable speed options allow users to choose the speed of movement which they need or prefer.